The song will appear on his new EP Growing Up In New York. 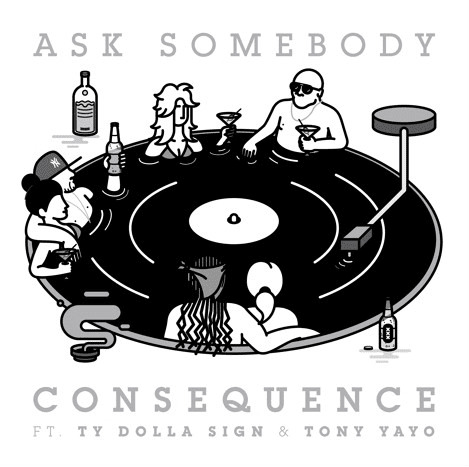 Consequence gets seriously funky on "Ask Somebody" which will appear on his August 19 EP Growing Up In New York. He grabs Ty Dolla $ign and Tony Yayo for guest spots. Cons raps and produces the track using The Whole Darn Family's "Seven Minutes Of Funk" as the backdrop. It's fun all around and the track comes in at a breezy 2:21. Listen below.